Hail the Dragon! was commissioned by the Cory Band of South Wales to celebrate their 125th anniversary. A spectacular concert opener, it begins with a vivacious and energetic fanfare, which leads to a dance-like figure played first by the woodwinds and then the brass. The mood subsides and a solo trumpet introduces an expressive central section, which builds to an emotive climax. 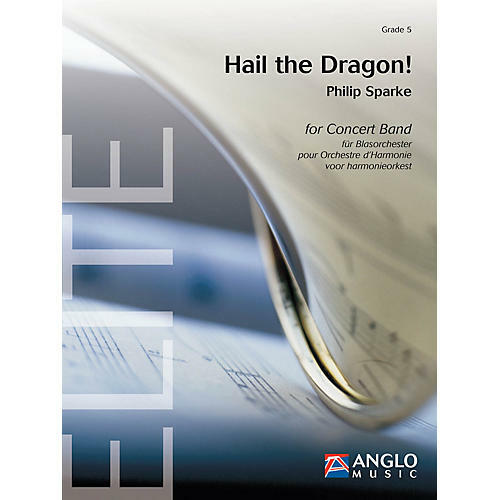 This hails a return to the opening music, which now acts as a descant to a short musical quotation from the last movement of The Year of the Dragon (also written by Sparke for the group's centenary in 1984) before crashing to a close.